I loaded my log cabin quilt last week and finally started quilting it. I’m keeping it simple, but it is tight quilting. This is a look under the frame. This will finish at 72 inches square. I hope to get another row done today. But first, I’m off to watch my little boys! Cool. 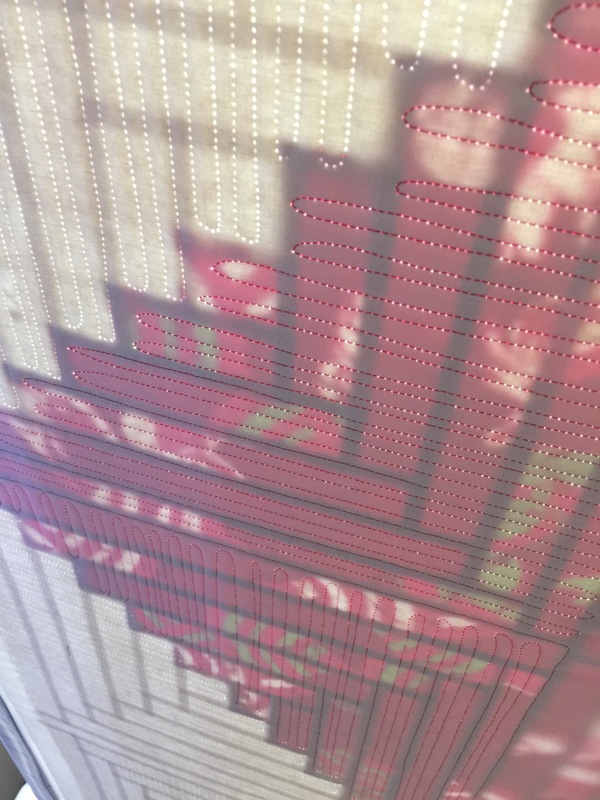 I’ve never seen the underside of a quilt backlit like that! I love the view underneath. That’s always my favorite way to look at a quilt. Love how you are quilting this one, Katy! Looking forward to seeing it all done…. Have fun with the grandsons today!! 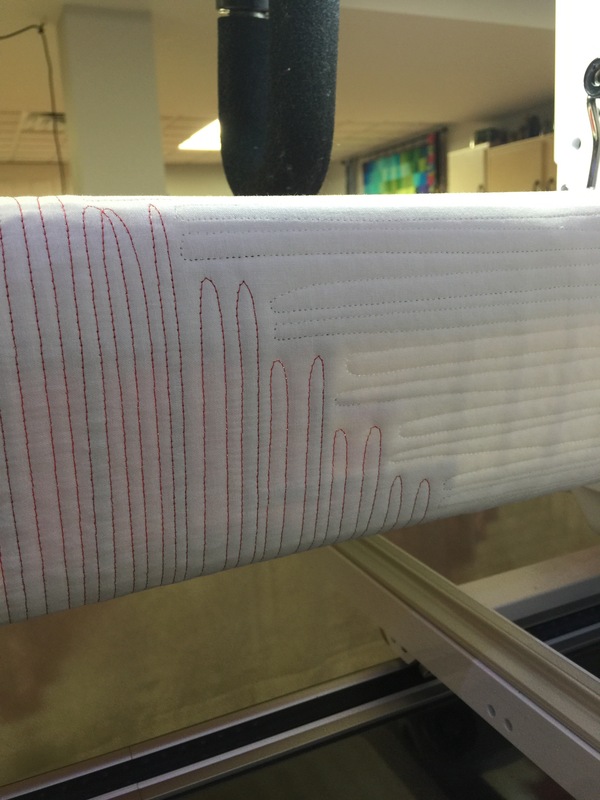 I enjoy seeing your progress, and it’s so helpful to see the stitching from underneath. Enjoy your day with the kiddos! I can’t wait to see this one finished. 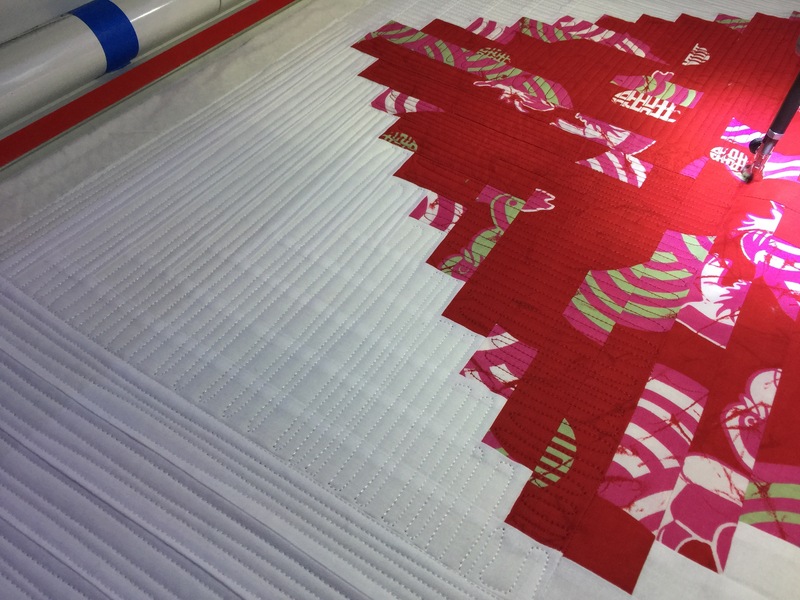 Modern quilting on a traditional block will look very cool. That subtle quilting will highlight the dramatic block arrangement you selected. Can’t wait to see the finished project.